1 Samuel 30:19 And there was nothing lacking to them, neither small, nor great, neither sons not daughters, neither spoil, nor anything that they had taken to them; David Recovered all. Greetings to all saints in the most precious name of our Lord and Savior Jesus Christ. 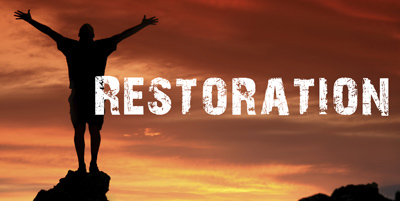 I hope you are blessed with the previous article of Living Rhema on restoration, where we could see how the children of Israel restored the towns and blessings. Today I want to share something about David; the king of Israel who recovered all that was taken away by his enemy, Amalekites. Let this message strengthen you more and my prayer to our Lord is that whoever reads this article let him or her recover all that the enemy has taken away. David escaped Saul and was with the Philistine King Achish for 16 months. Almost six hundred men were now with him because the anointing had departed from Saul and now it was with David. So they followed the anointing. Do not follow the tradition. Rather, follow the presence of God. Do not follow the way where God was yesterday, but pursue the way where He is today. King Achish kept David as a friend and gave him the town called Ziklag to dwell. And in the process of time, the princes of Philistines asked King Achish to cast away David from them because they knew who David was. Upon their word, King Achish told David to leave him. So David while returning home with a broken heart, he found the city burned and the loved ones taken away as captives.David, in his journey of 85 miles towards Ziklag was tired. Besides, he did not have good news when he was back home. Are you going through this kind of situation? You might have good news in your office but not when you come home? People might rejoice seeing you but when you look into yourself…you feel drained. When you are in church, you rejoice with everyone but when you are back home, you face the same unchanged situations and you feel lonely. …You felt good when you shared that sermon in your church but when you are back home- nothing has changed. You felt pumped when your shared your testimony and others were rejoicing but you yourself cannot rejoice. Something is holding you back. Why do you feel that there is some lack in your victory over situations that you are going through? You are victorious in one thing but on the other hand, you are drained off. We have recovered on certain areas but are still struggling in other areas. One mother mailed me about her daughter. She was very relieved when her daughter got a job but she is concerned about her wedding because nothing is working out since years…Many among us has recovered some part of our blessings but we still strain to attain victory in other areas. It may be your child’s future, health, Job, or a relationship. The one who recover fast is the one who responds to God spontaneously. The one who recovers gradually is the one who responds gradually, and the one who never recovers is the one who never acknowledges the power of God or the one who never responds to God. Let us see how does David respond to such circumstances? David was both a human being and an anointed servant. He cried and lifted up his voice until there was no power to weep. This is a normal approach and we all tend to do this. No one sits and smiles when he find his loved ones taken as captives. David and his men were tired after the journey. They were already drained off of their physical strength and now when they came back to their homes to find fire and smoke around, they were almost half dead. But David did not choose to sit in this drained situation for a long time…This is the place from where some of the folks do not recover because they like to sit on the situation and think on it again and again. But if you say to yourself today that “I am going to get up and shake off depression, confusion, and uncertainty from me”, then you will see the Glory of God. Devil wants you to sit on the situation and keep on digging up the condition, but if you choose to get up and shake off the dust from your shoulders, you will find God’s provision beside you. Awake, your light has come and Get up for it’s all over. Today is the day to say ‘Good Bye’ to the situations because we are children of God and we are children of Light. We do not walk on situation but we walk on revelation. Here it’s getting tougher for David, because the people who were with him were now blaming him; they were against him, and were trying to stone him to death. Dear child of God, if you choose to get up from the situation, do not think that things are going to be smooth and cool like cucumber. Here we can see the response of David to God. Notice here that it was not David who needed to be blamed, but it was Saul who once destroyed the Amalekites but spared the King and the good things. But David did not wait to make his stand clear. In fact he gave no ears to what the people said. He encouraged (Strengthened) himself in the Lord. He said to himself that “I am not going to sit and weep on what I have lost but I am going to shake off the dust and will encourage myself in the Lord”. You need to understand today that if you have a heart to get up from the situation, God will pour on you the strength to face the situation. That’s why David sings in Psalms 27: 2 and 5, ‘when the wicked, even mine enemies and my foes came upon me to eat up my flesh, they stumbled and fell. For in the time of trouble he shall hide me in his pavilion; in the secret of his tabernacle shall he hide me; he shall set me up on a rock’. Can we also learn to stay calm in the situation like David? Calm or stillness in the situation doesn’t mean ‘not acting upon’ but it shows the rest in your soul and your trust in the Lord. Psalms 46:10 ‘Be Still, and know that I am God; I will be exalted among the heathen, I will be exalted in the earth.’ There is a sweet message here. If you choose to be still/calm in such situations, then only you will taste the Glory of God and then only you will know the ways of God. David was greatly distressed but he was still, unharmed and he choose to encourage himself in the Lord…He did not wait for someone to encourage him but he decided to be strengthened in the Lord by himself. We often desire that the pastor should lay hands on our head and we like to hear the prophesy. But let us learn to encourage ourselves in the Lord…This teaches us that even though you are an anointed servant of God, there are some areas of life where you are greatly distressed. But do not hang on to the distress for a long time. Rather, dwell in the house of the Lord and He will give strength to our weak areas. Now let’s look little deeper as to how David encouraged himself in the Lord. David was in the midst of total discouragement. His own people were against him, the city was burned, his family was captive, and his own condition was weak. But David chose to turn his face towards God…He did not turn his face toward the situation nor his people but towards the God Almighty, because he knew that his help would come only from the Lord. Your denomination cannot give you the strength nor your pastor. Turn towards the Lord because he is the only source of Strength. ‘For God shall supply all my needs according to his riches in Glory’…I am weak…he will supply me the strength…. I am confused…he will supply me the Hope….I am thirsty…He will supply me the water …The only way to recover is to be strengthened in the Lord. I Samuel 30:7 And David said to Abiathar the priest, Ahilmelech’s son. I pray thee, bring me hither the ephod. And Abiathar brought thither the ephod to David. You are and you must take the position for what you are called and appointed for. Why did Adam and Eve fall easily in the deception of the serpent? It’s because they failed to identify who they were and where God had planted them.